Mark your calendars! You’re invited to the 2017 BuildingPoint Canada Roadshow! We’ve expanded our Tekla User day format with more information sessions that further increase your knowledge with cutting edge technologies to meet today’s demands on construction. Choose between two afternoon sessions while connecting with your peers and meet members of the BuildingPoint Canada team. 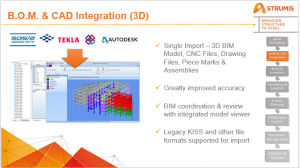 For existing Tekla users, our morning sessions will showcase this year’s latest version, 2017 and 2017i. New features such as the enhanced layout and template editors, modeling with spiral beams and working with steel bent plates and much more will be discussed! 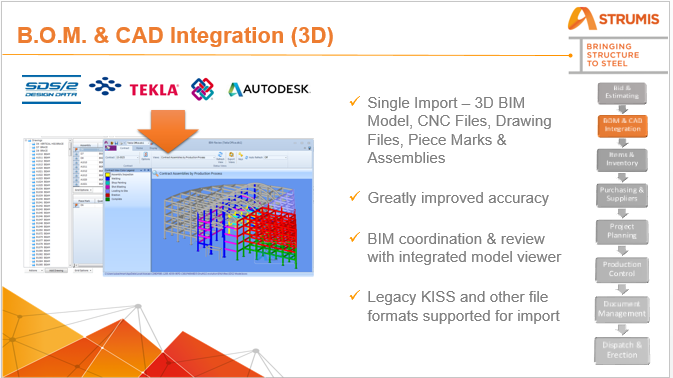 BIMREVIEW is a well-established BIM and collaboration viewer that is embedded into STRUMIS and also available as a powerful standalone tool. This leading tool is also the conduit of information from multiple CAD authoring packages from Trimble, Autodesk, Dassault, Aveva, Design Data and many more. Although using the baseline of IFC, the information held within each model is far richer in content, including custom user defined attributes. From the drawing office all the way through to a completed project on site BIMREVIEW is there to help our customers at every step in the workflow. 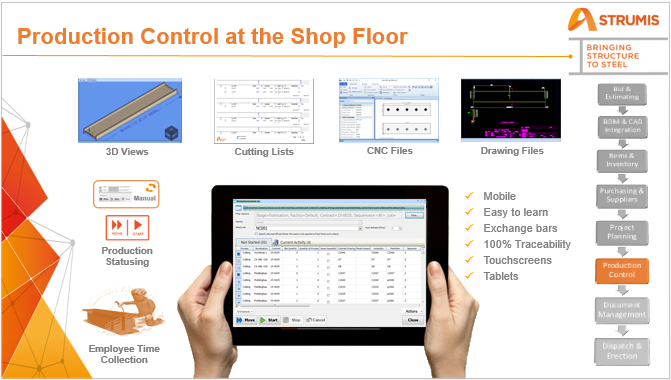 This can be in the form of holding all of the drawings and NC/Cam data, ready to view at any time at with the click of a mouse to advanced clash detection, enabling seamless collaboration between trades. 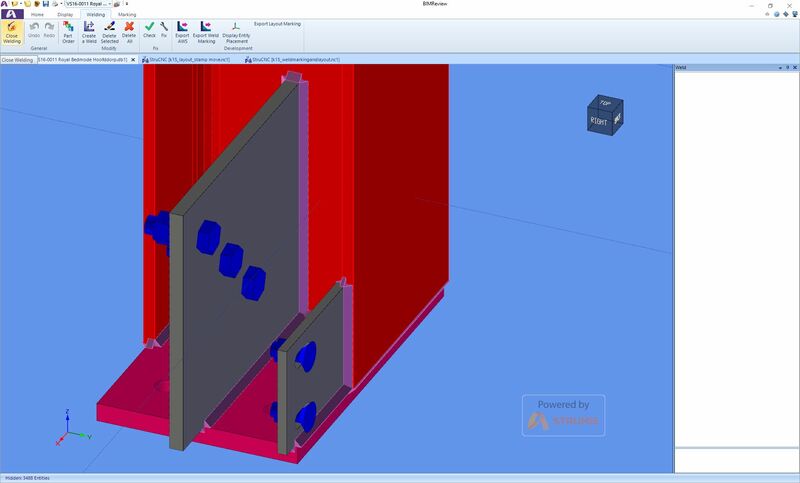 Within BIMREVIEW there are a plethora of options available at a user’s fingertips, these range from enquiry tools such as measure, centre of gravity, procurement and production statuses through to integrated 4D planning, all helping to reinforce project understanding through easy to use visualisation tools. Technological improvements over the years have contributed immensely to the enhancement of quality of life through various new products and services. One such revolution is pre–engineered buildings. Though their origin can be traced back to 1960’s, their true potential is only just being realised. An estimated 70% of all new commercial buildings in the US are pre-engineered. “Pre-engineered steel buildings” are those which are fully fabricated in the factory after designing and then shipped to site in a CKD (completely knocked down) condition; all components are then assembled and erected on site with nut and bolts, thereby reducing the time of completion. Pre–engineered steel buildings use a combination of built-up sections, hot rolled sections and cold formed elements which provide the basic steel frame work with a choice of single skin sheeting with added insulation or insulated sandwich panels for roofing and wall cladding. The concept is designed to provide a complete building envelope system which is air tight, energy efficient, optimum in weight and cost and, above all, designed to fit user requirement like a well fitted glove. It has many benefits when cross-referenced with conventional. PEBs are generally low rise buildings; however the maximum eave heights can go up to 25 to 30 meters. Low rise buildings are ideal for offices, houses, showrooms, shop fronts etc. The application of pre-engineered concept to low rise buildings is very economical. Buildings can be constructed in less than half the normal time especially when complimented with other engineered sub-systems. Table-1 presents an overview of comparison between RCC, Conventional steel and PEB structures. Fabricators erecting PEB structures are already using STRUMIS to aid in the erection of their buildings. Our online library comprising of different material grades, parts, assemblies, sub-assemblies allows STRUMIS to help the PEB industry manage their fabrication with reduced wastage, higher productivity and full traceability. Reaching a height of 224m, the City of London’s landmark Leadenhall Building was designed as a wedge-shaped structure to minimise its impact on views of St Paul’s Cathedral. Part of its unique design are the panoramic lifts which have been placed on the vertical north elevation, so they can serve all the office levels. As a result, there is no central core, and stability is provided by a perimeter braced steel mega-frame, placed outside of the building envelope. “The use of steel is fundamental to the value of this building. It is visibly integrated into the architecture to an extent that is highly unusual for a skyscraper, creating a powerful tectonic quality which enables people to appreciate and take delight in the way that the building is constructed,” says Arup Director Nigel Annereau. “Steel was chosen because of its high strength-to-weight ratio and tension capacity, making it the obvious choice for a tall braced structure. A concrete alternative would have been much bulkier, more complicated and slower to construct. Weld and layout marking are intended to automate the manual marking of connected parts on a main component. 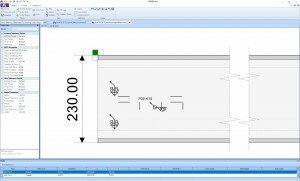 In essence you can use the material to tell you where to place it and how to weld it, on all first order fittings without having to manually mark the information. The long awaited Packages & Containers functionality that was available in the STRUMIS Visual Piece Monitoring System will be incorporated in to STRUMIS Production as part of the v10.3 release. The functionality will work in much the same way, for example Packages can be added to Delivery Notes and Delivery Notes / Packages can be added to Containers. There will also be the option to add extra items and items direct from Inventory to both Packages and Containers. 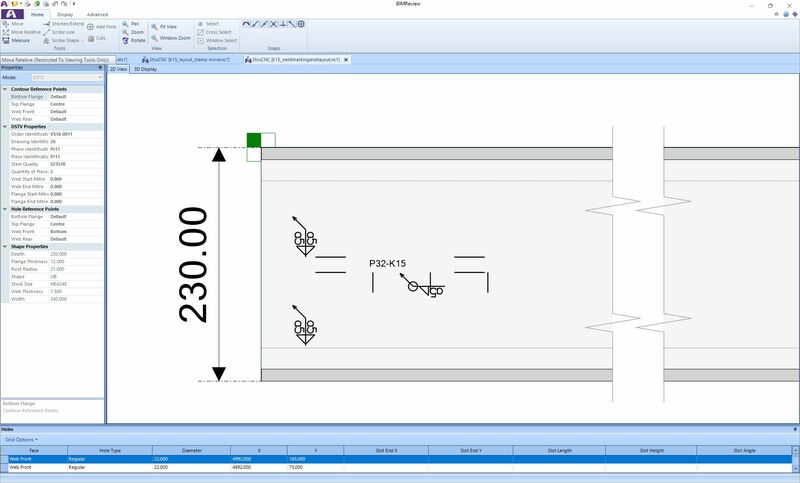 The Package and Container objects can be created in the Production module or direct from the Production control grid similar to the Delivery Note creation. The existing Delivery Note Reports have been modified to reflect the new additions and a new Container Contents Report is now available. With our success in Australia and New Zealand STRUMIS Australasia is making headway with the expansion in South East Asia. Several visits to high profile sites in Vietnam and Thailand have resulted in negotiations with some of the largest fabricators in the region and the addition of numerous STRUMIS licenses. In our efforts to move forward and continue to grow we look forward to servicing these new sites as successfully as we have our customers in Australia and New Zealand. We are currently negotiating to expand our team into Bangkok, Thailand, so that we have local representation in the region. We have the opportunity to bring on board a well-known and experienced team who are active in the local fabrication industry. This is large territory offering many exciting opportunities for STRUMIS. It is a big step toward our goal of continued growth in this and every region of the world. We look forward to the challenges and rewards offered along with this expansion. 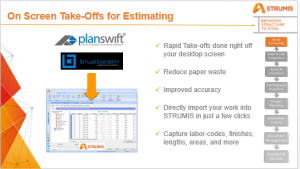 Are you currently using an industry specific solution? 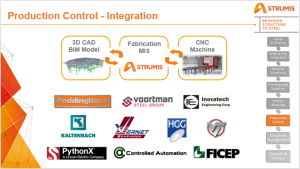 STRUMIS talks to hundreds of fabrication companies a year, and we have found that there is a trend of success when industry specific solutions are being used. We see all too often organisations that struggle with processes and technology solutions when they are generalised for financial management or manufacturing. 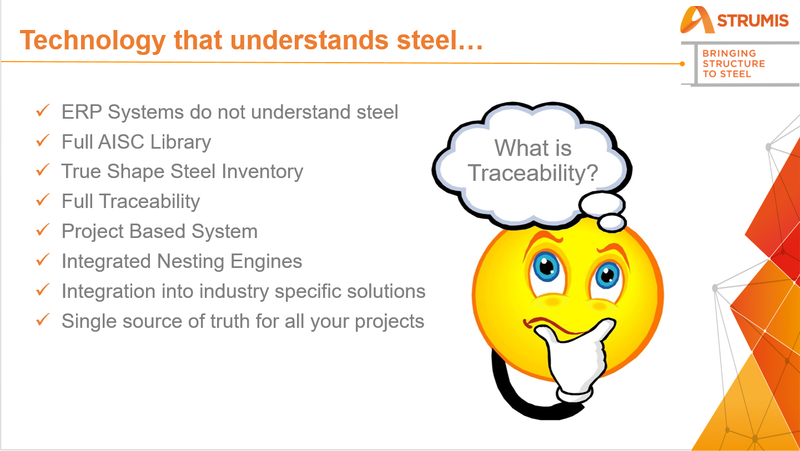 These solutions do not understand the specific needs around the steel fabrication industry… they don’t understand steel. 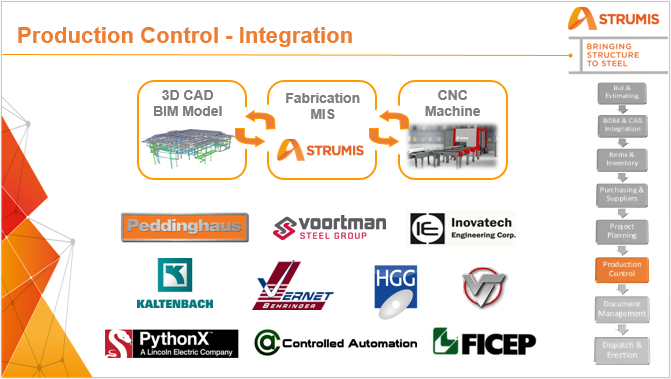 When we look at a cross section of the industry we can clearly see that many of the industry leaders in steel fabrication have embraced industry specific technology such as STRUMIS. Today I would like to quickly break down some of the key areas that are greatly improved with the right technology in place. In the fabrication market we have to start with the core business issues and stay focused on solving these daily challenges. 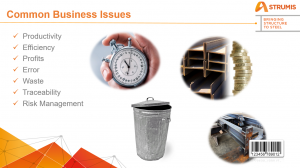 We have found common business issues across the industry as a whole. To address these issues with technology we have to start at the top and ask yourself if the technology solutions you are using are current, or dated solutions that have lost relevance over the past 5 to 10 years because they haven’t evolved with the industry by not releasing new versions. 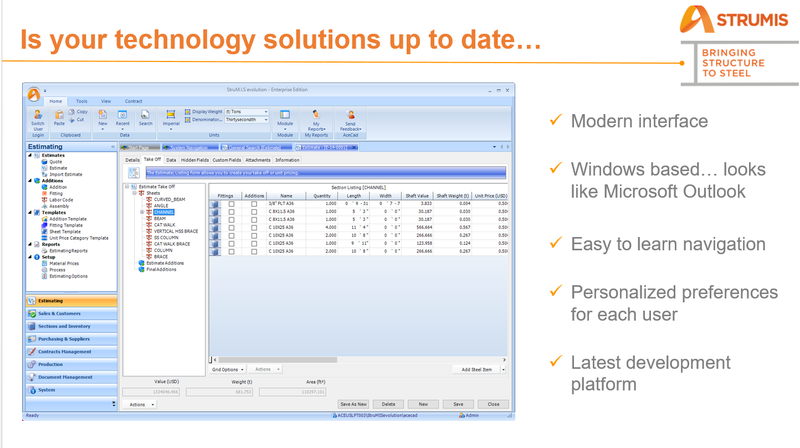 Modern solutions offer better tools that are easier to use and faster to learn and adopt in your organisation. 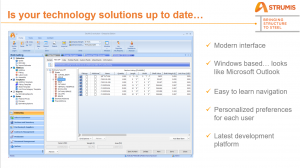 Be honest with yourself here… is your technology solution industry specific and up to date? Next, let’s take a look at what industry specific to the steel fabrication market looks like. 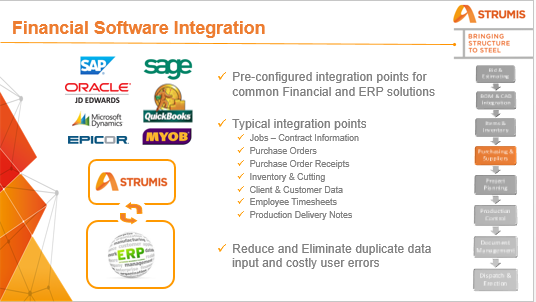 We see countless companies with huge IT spends to further develop an ERP financial system to only end up with a system that still does not understand the complex nature of a steel fabrication project. These systems are often missing the key items most needed by a fabrication company such as. Finally does your technology solution integrate with the industry specific tools and applications utilised to design and execute your fabrication projects? This is yet another huge technology hurdle in the industry that can be addressed with an industry specific solution. Let’s examine some of these key integration points. By bringing these industry specific technology solutions together in a seamless environment it helps you to solve critical business issues and drive project success. 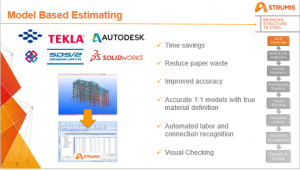 An industry specific technology solution that is modern and well integrated provides you with a single source of truth around your project information. If you would like to connect and build a technology roadmap together, please reach out to discuss how STRUMIS can help. Visit www.strumis.com for more information on how STRUMIS can bring all of these benefits to your company.